Poverty impacts over 46 million people in this country, and is more than just an economic and social problem. The impact of poverty on education can be tremendous. 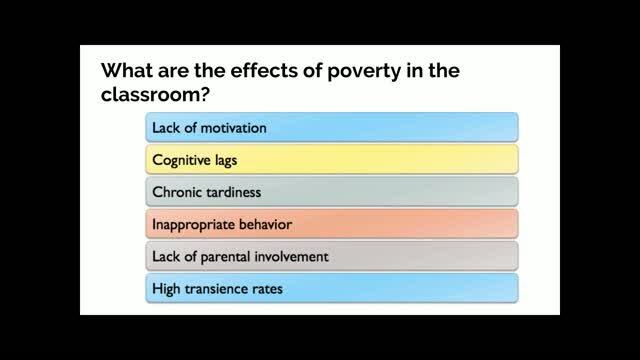 This webinar, which is based on many of the concepts in Eric Jensen's book Teaching with Poverty in Mind, will address how poverty impacts students within our classrooms. 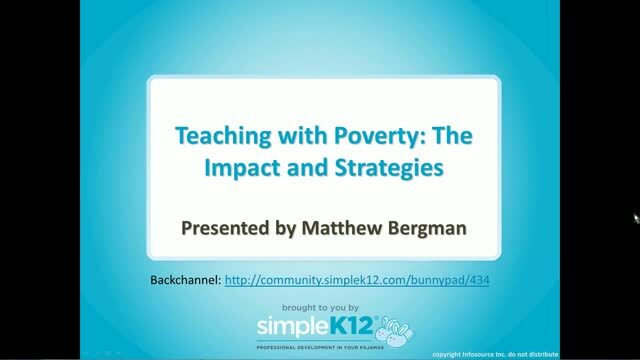 Join Matt Bergmann as he explores strategies that can be used to enhance student learning and counteract the effects of poverty, with a focus on vocabulary development. Great information. Such a huge problem in my district. 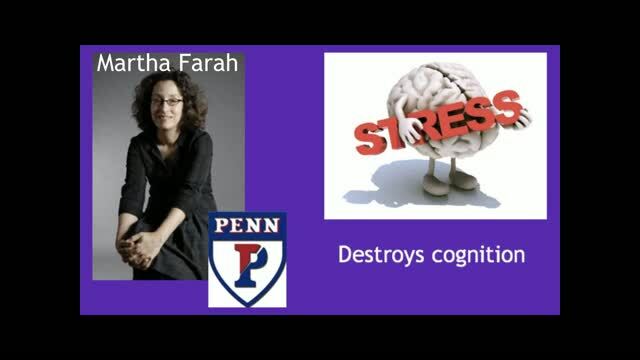 Great information and strategies for a problem that is, unfortunately, way too prevalent. Good insight to background and issues facing students and teacher challenges in impacting student learning. This was great. 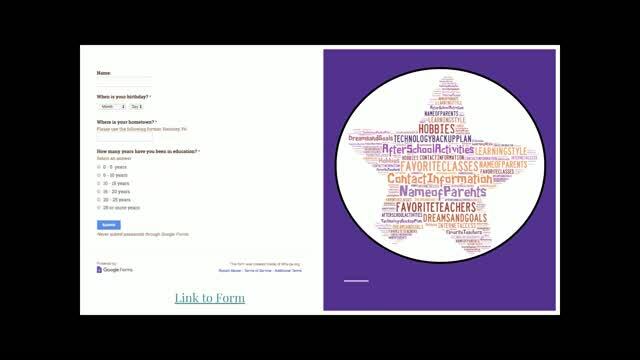 I actually started using Flocabulary with my students this year because they love to sing and move. It has been helpful at building students vocabulary on different areas of study. Excellent ideas and supportive strategies! This was an amazing presentation and loaded with practical strategies to deal with children of trauma. This is a real issue and the presenter did a fantastic job sharing his expertise about how to respond to children in poverty. 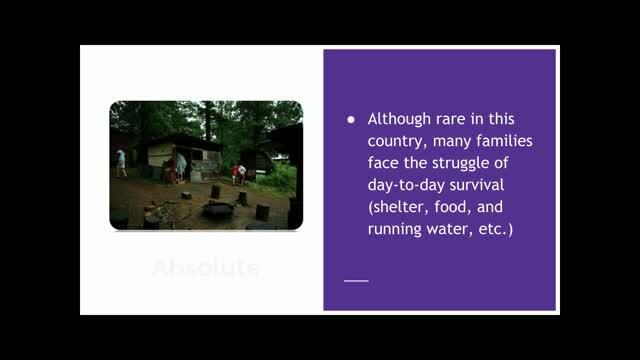 I thought this webinar addressed many important issues and topics that are so important for educators to remember when faced with difficult situations.